If you missed HBO’s documentary, John McCain – For Whom The Bell Tolls, on Memorial Day – demand it or stream it. Like most Americans, I was aware of McCain’s heroic past and his maverick style of politics. HBO opens the door to his battle with brain cancer and his resilience as he continues to crusade for the causes he believes in – despite advancing health issues and daunting odds. The six-term senior Arizona senator agreed to participate in the film shortly after being diagnosed, providing complete access to his daily life in Washington, D.C. and Sedona, Arizona. I was struck by McCain’s willingness to share failures and the honesty in admitting his missteps, both political and personal, and apologizing sincerely. 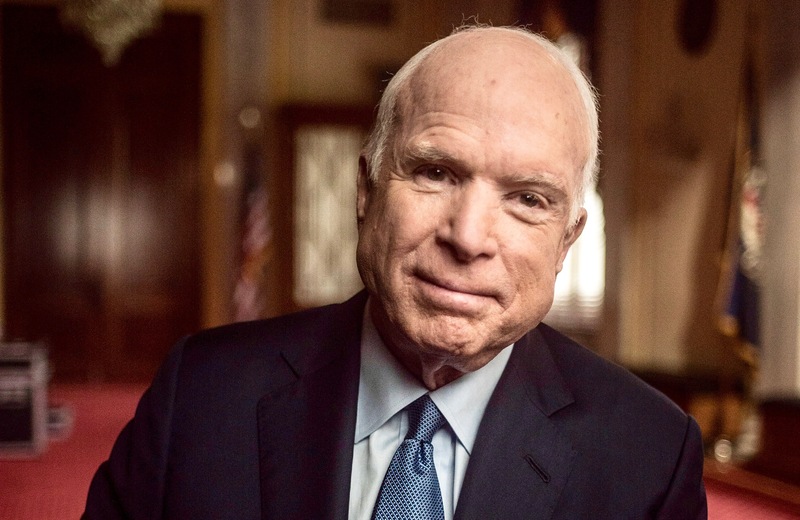 A war hero who spent five years in a North Vietnamese prisoner camp, McCain speaks about the experience without bitterness or rancor. In agreeing to avail himself for this project, McCain had one purpose: send a message to the American people and his colleagues in the Senate: We have to start working together to get things done. As McCain faces his own mortality, it’s hard to fathom why our nation’s leader could utter those horrifying words: “He’s not a war hero, he was a war hero because he was captured. I like people who weren’t captured.” That statement is a lack of respect for all those who have served – a disqualifying characteristic to be president. John McCain – For Whom The Bell Tolls reminds us that we are all flawed but when we face our missteps head-on, in a revealing and reflective way, an apology can restore faith and confidence – and civility among people. Copyright 2017 Protem Marketing. All Right Reserved.